Here are the links to the topics which discuss the Lyrics and Chords for songs on Tennessee Pusher. If something is incomplete or just plain wrong then feel free to contribute in those threads/topics. Nice job sorting that all out there gumbo! Thanks Gumbo! from a fellow t-crosser and i-dotter. Appreciate the convenience. Now just, what, three more albums to go? J/K. You're welcome. 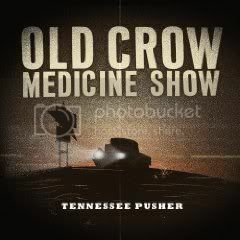 The early albums up to and including OCMS are here. See the third Sticky in this forum. If you really hadn't seen that you're in for a treat.